Let’s Talk Sheep – BAAH! A CAAHNTEST!!! But even more exciting than that, I just found out that Can’t Sleep Without Sheep is being released to E-Book on May 7!!! It will be available on all platforms, and it is one of 4 books that Walker has chosen to launch their E-Book line. For that reason, it is very important that it do well. It is a representative! Sallying forth and bearing the flag of honor! So I really want to help spread the word so that Woolliam and Ava don’t end up hanging their heads in disgrace! Phyllis is sulking. She thinks everything should be about her. And usually it is. But this week I really think Woolliam and Ava deserve their turn in the limelight. So I put on my Old Thinking Cap and thought to myself, what can we do that will be fun and also help spread the word about the E-Book? Right away I thought of cake. Because, as you may have noticed, that is often my first thought. But although I feel quite sure there will be cake involved, I think this occasion calls for even more than cake. But I want Ava and the sheep to have a chance to kick up their heels and have some fun. Write a jingle that makes Can’t Sleep Without Sheep sound irresistible! So that everyone will want to read it!! On whatever electronic device they happen to have!!! Because of course there’s a prize! On Monday May 13, we will vote for a winner. If we get fewer than 15 participants (*sob*) I will post them all here for popular vote. If we get 16 or more (YAY! :)) my lovely assistant and I will select up to 10 finalists for your voting pleasure. #1 The Serenity Spa Gift Basket from It’s Only Natural – a $55 value of organic soaps and lotions! #2 A $50 gift certificate to Amazon! If we get more than 25 entries, prizes will be given for 1st – 3rd! IN ADDITION there will be a special contest FOR KIDS! Download The Sheep Drawing Activity so your child/children/preschool or kindergarten class 🙂 can draw something for Ava to count and/or The Sheep Hats Activity so they can draw hats on the sheep and/or write entertaining captions for what the sheep are saying. Kids Contest participants will also be voted on May 13, and of course there will be a prize for that too! 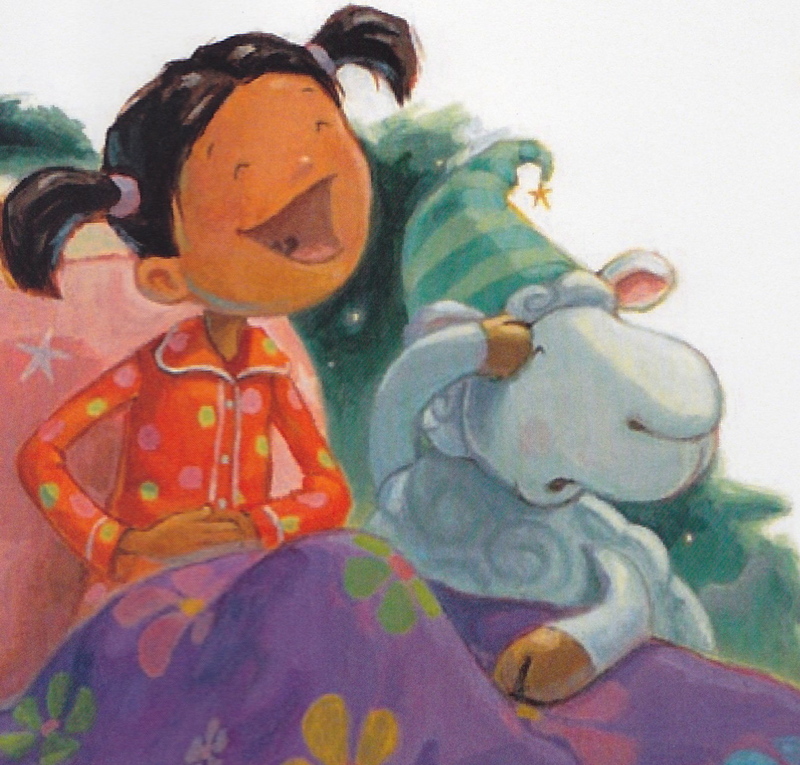 The winner of the Kids Contest will receive either the new Can’t Sleep Without Sheep E-Book on the platform of his/her choice or a signed hardcover copy PLUS a Folkmanis Sheep puppet! Congratulations! I'll spread the word. How exciting it must be to be one of the 1st in the new line! Hmm…I shall have to put my woolie thinking cap on. I just had an idea (not a jingle though 🙂 ). Would you like to guest post on my blog with your book? If you're interested let me know: tdrecker (at) gmail (dot) com. Oh, thank you, Tonja! I would love that! Congratulations Ava, Wooliam and Susanna! I can't stop thinking about cake though, and how yummy a red velvet sheep covered in fluffy cream cheese frosting would be…I may be baking today. Congratulations, Susanna! How exciting to be one of the chosen four. 🙂 Now that Poetry Month is over, I can play again. I'll sleep on it and see what I come up with..
Congratulations Susanna! That's such great news. I love you sheep book. Won't be here to participate as I'm leaving on vacation. Will look forward to reading the entries when I get back. Susanna, I am super excited for you!! I have a niece(-in-law) named Ava who is the perfect age for this book, so I'll be buying this for her (and probably the e-book for myself…LOL!). Doing the happy dance with you! Congratulations, Susanna, Ava, and Wooliam! I'm sure Phyllis will be joining you soon. It's nice to spread your wings. A contest is a fabulous idea, but I can't seem to think of anything ideas right now. How about I just spread the word about your contest. Shearly ewe'll get a flock of marvelous jingle entries! Hahaha! Very funny, Cathy 🙂 I'm not sure about a lot of entries, though. I'm not picking up a lot of enthusiasm. Maybe I should have thought of something easier… I was thinking a jingle was so mice and short…! or moderate from the Disqus moderation panel. from these emails, or reduce the rate at which we send them by adjusting your notification settings. Congratulations on the e-book, Susanna! That's great news. YAY, that's fab news about the eBook, Susanna. I am thinking that Phyllis may yet have her electronic day. Awesome prizes for another zany competition! 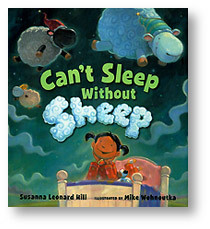 And a BIG SUPER-DUPER CONGRATULATIONS on Can't Sleep Without Sheep coming out as an e-book!!! I'll be sure to announce this on Facebook and Linkedin. I'm hoping to participate in the contest, but the way my hectic life is going, I won't make any promises. Thanks, Tracy! 🙂 And I hope you'll have time to participate! if you do, that might make 3! Thanks, Joanna! Actually, Phyllis was supposed to have her day about 2 years ago but it fell through. I don't know if it will happen for her. Congrats on the pending release of Can't Sleep Without Sheep. I started working on my Jingle last night . . . so count me in! So this is something we all need to share! Wahoooo! Congrats on the e-book! I love this book and I can't wait to download it on my shiny new Kindle this Tuesday. Goooo Susanna! Oh, thank you, Hannah! I'm so glad you like the book and are considering the e-version! If it falls on it's face that will not go over well with the powers-that-be so I really appreciate it! and thanks for all you do to keep our creative juices flowing! When your eyes want to close, but stay open instead? gargling peanut butter while I stood on my head! I listened to the music of a marching band. I think being awake had the upper hand. I was worried I’d never find the right clue! I’d used all the tricks for sleeping I knew! Some unheard of, and some tried and true. Was there something more soothing I could find? With trying to get a good night’s sleep! So I asked for advice from my friend Bo-Peep. Leap over the fence to my garden keep? jumping, to land where the sweet clover grows. Sleep to me sweet as a day in spring! No peanut butter, marching, or falling in a heap! Don’t ever try going to sleep without sheep! Cheer! I wish you all the blessings of the abundance of enough. . . I wish I could tell you that I put in tons of time, but I definitely did not – I didn't have any! It only takes me about 5 minutes for such nonsense, and as you can tell = this one was definitely NOT edited! 😀 But it was fun. I have written many children's story-poems, but I've only put them on my blog. I would love for you to check them out, but I know your time is valuable, and my pockets are empty! But if you want to waste a little time some day, just let me know at calhounpaula@ymail.com and you can read them without having to make one single critique! Maybe just to give you a smile or two. Glad you liked my non-jingle! I'm glad you had fun writing it – I certainly enjoyed reading it 🙂 What is your blog address? I'll come check it out!